Gila Insurance Group LLC (Gila) was founded in January of 2016, by an industry veteran, Derek Kartchner. After 12 years of working for one of the top insurance agents in the country, Derek saw an opportunity in an underserved division of IIG and will purchase the division from IIG in July of 2016. 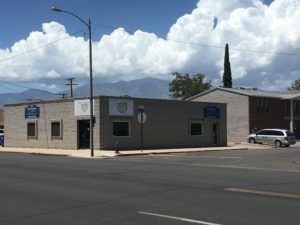 In September of that same year, Gila purchased Arizona Economy Insurance in Safford Arizona. Gila’s Corporate headquarters are no located in Safford, AZ at the base of Mount Graham in Southeastern Arizona. We are an independent agent, which means we represent a number of different carriers. Unlike many of our competitors that have only one option, we are able to represent a number of carriers so that we can shop the market and find you the best coverage at the best price. We believe in serving niches, and being the best in that niche. So in addition to selling home and auto insurance Gila specializes in 2 niches: Specialty Dwelling and Recreational Vehicles. Specialty Dwelling – Specialty Dwellings include non-traditional homes such as Manufactured Homes and investment properties such as rental properties, vacation Rentals, fix and flips, and seasonal/second homes. Many of the big guys avoid these as they tend to be a slightly higher risk for one reason or another. Recreational Vehicles – RV is a broad term for motorhomes, travel trailers, and 5th wheels. Unfortunately, many insurance companies insure these as if they were a run of the mill auto, which is terrible for the customer. We represent RV Specialty carriers that have the coverage our customers need. Gila believes that we can provide better service than the other guy because we know more about our niches than they do, which means we will be able to help meet our customer needs. Also, we aren’t so large that you get lost in our call center. We only represent A rated carriers to protect you. An A rating doesn’t mean everything, but it does mean that the carriers we represent have a good reputation and the financial stability to ensure your claim gets paid. We also represent carriers that understand our Niches. This means that our carriers have the specialty coverage you might need. This might sound like a funny pillar, but we are convinced that by merging an independent insurance agency with a brick and mortar location with technology, we can provide you the best customer experience possible. For example, from GilaInsurance.com you can get multiple online quotes from Top rated companies. Yes, you will still need to talk to an insurance agent to purchase, but that allows us to check your coverage, and ensure you have the all the discounts possible. Once you buy we can use esignature, we have a corporate text number, email… okay, not groundbreaking, but still convenient. Finally, when it comes to renewal we have invested in technology that allows us to monitor your rate. Our system tells us if your rate went up, why, and by how much. This allows us to monitor your rate. If it goes haywire, then we will shop you with other companies. From the first day you buy with us to each renewal, we use technology to ensure you have the best experience possible. Super great people to work with. Always prompt responses. Great rates. Had one major claim in 10 years. They handled everything painlessly and efficiently. Worked with the repair shop. Great customer service. Working with Gila insurance group was a pleasure. I was able to bundle my car and home insurance. They were able to get me the best possible coverage for both while paying the same or a little less than I previously had. 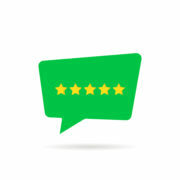 They handled everything quickly, efficiently, and I didn’t have to deal with the headache called insurance. They just finished finding me a life insurance policy. I highly recommend Gila insurance group to everyone! Derek Kartchner was fantastic. As a new investor, Derek took the time to ensure I understood the process and provided me with key learnings/ comsiderations that I didn’t have to ask. I value this since “I don’t know what I don’t know.” I consider Derek/Gila to be my go-forward partner. I had a unique situation, and Gila was able to find a solution for me and got me a policy the same day at a great price. These people are awesome to work with, highly recommended.